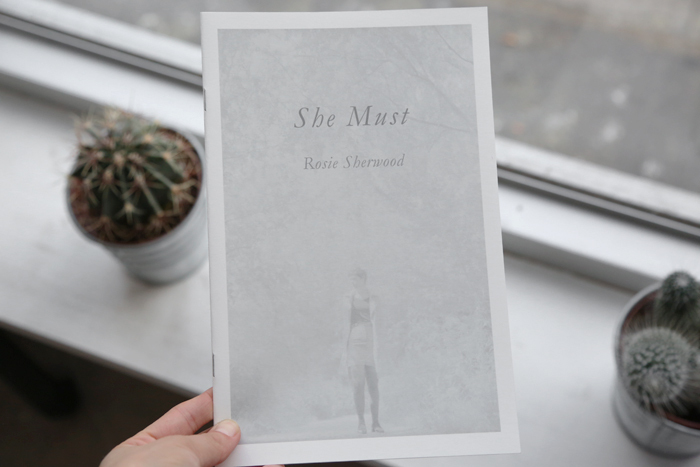 She Must, by Rosie Sherwood, is a very brief, barely illustrated narrative ostensibly based on the comic book format that describes a woman ‘who might or might not be time itself’. That quote is from the website, by the way. There is nothing so clear in the book. 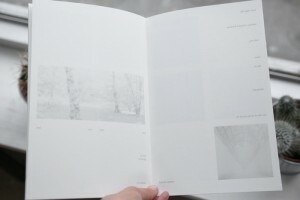 The book itself has been beautifully assembled: the paper has been lovingly chosen, and is of very high quality. The stock is a smooth, creamy ivory that pairs well with the grayscale photographs. It is very difficult to write a comprehensive review about a piece of media that is eight pages and 172 words long. I can say that there is no narrative, and that while this is not a flaw in poetry generally, it is when the book is being marketed as a story-poem. I can also say that it was very clever to sell this pamphlet in a cardboard-backed comic-shop Mylar bag: this enhances the sensation of reading a fusion of forms, a mixture of the comic-book kitsch and a more modern poetic aesthetic. This is accompanied by an image of the author (her legs, hair, and torso) standing in an over-exposed field of gray light, as well as what looks like a shot of an empty clearing – though, again, the only things clearly visible are the trunks of the trees. As a concept, this pamphlet had a great deal of promise. 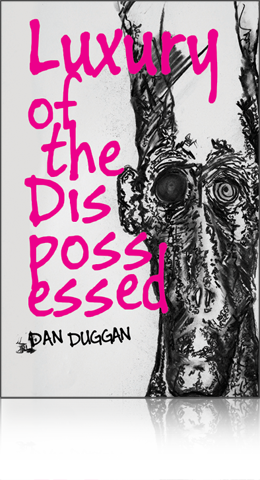 The fusion of forms the author proposed, a mixture of visual and narrative story-telling, of pulp and high art, is one that is not seen frequently enough in contemporary poetry. Unfortunately, the content did not justify this promise. Minimalism does not have to be like this. In ‘The Red Wheelbarrow’ William Carlos Williams said more about life (and arguably the nature of time) than most novels. 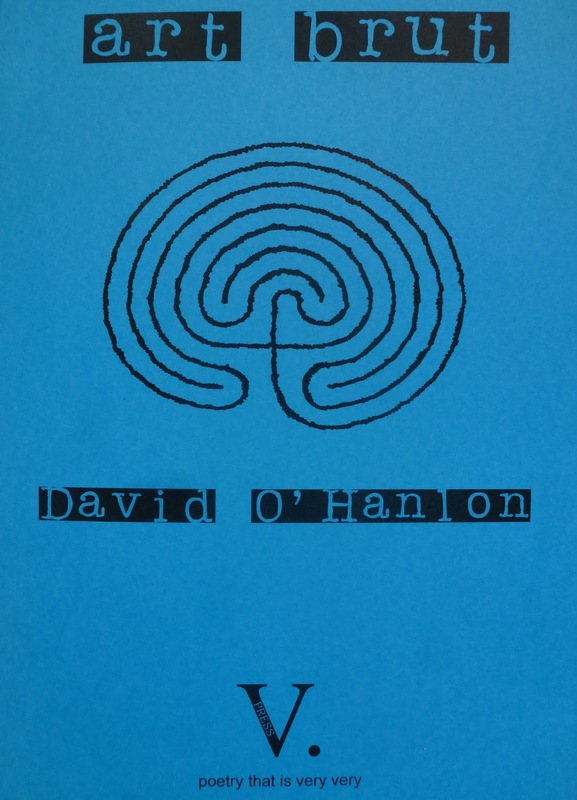 More modern minimalists, such as Kevin Reid working with his wonderful erasures, pierce the pith of truth with work that could comfortably be tattooed on the ball of a thumb. 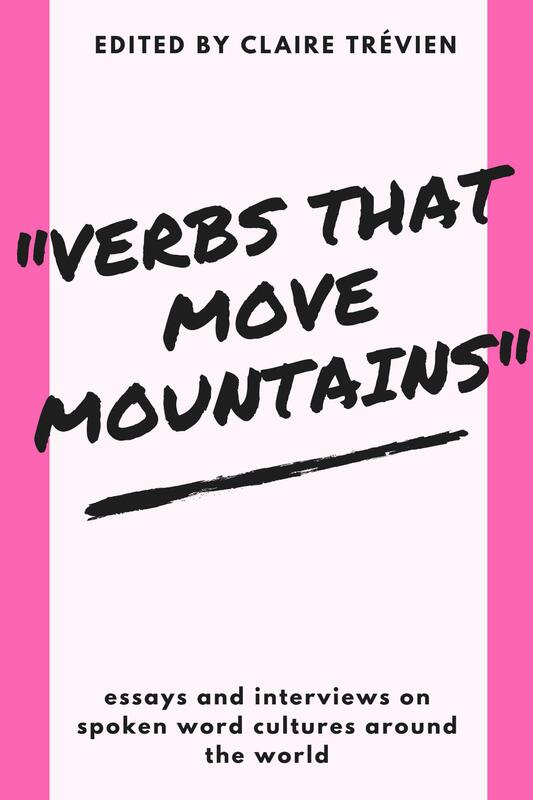 Minimalism can produce great art – unfortunately, a great many writers use blank space as a substitute for talent, and scattered word-fragments as a replacement for discipline.